NBS Corporate Group ensures your company complies to regulations and policies of the US CAN-SPAM act, EU and Australian email regulations, as well as upcoming regulations, including those in Japan and Canada. 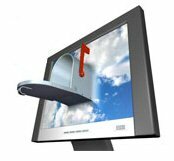 Plus, we deal with self regulating organizations, such as Spamhaus and Spamcop to ensure a productive relationship and ensure your mail reaches your customer's inbox. After the conclusion of the audit, a report detailing corrective actions will be submitted. The 'monitoring' phase of service includes NBS Corporate Group monitoring deliverability and affiliate compliance along with other emailing procedures on a monthly basis as well as handling any situations or problems arising with ISPs or Certification organizations. NBS Corporate Group monitors deliverability and affiliate compliance as well as other emailing procedures on a monthly basis and handles any situations or problems arising with ISPs or Certification organizations too complex for normal staff handling. We also constantly monitor new changes in law enforcement, ISP procedures or reputation issues involving your firm which may arise and bring it to your attention for discussion. The 'monitoring/maintenance' phase of service is where we handle all abuse issues, monitoring and reviewing deliverability and affiliate compliance daily as well as any other emailing procedures/issues that occur on a monthly basis arising with ISPs, Certification organizations, government organizations, consumers or law enforcement agencies. By getting your corporate email to your customers’ inbox, you can sit back and watch your revenues increase. Contact us today and ensure that your corporate email is delivered to the inbox of your customers.